This past Thursday I was at the John F. Kennedy Library for a yearly gathering of teachers and librarians who come together to talk about how children’s books can help our students make sense of the world and encourage them to embrace the privileges and responsibilities of citizenship. It is one of my favorite days of the year, and this year was no exception. The theme was “To Light the World: Stories of Hope and Courage for Challenging Times.” As the conference organizers said at the start of the day, our meeting was being held one year after the Boston Marathon bombing, and the discussion topics grew out of questions asked by children about the bombing. Every person in the room was devoted to shining light on books that inspire kids to have courage and ask good questions. One of the best parts about attending a professional conference is the opportunity to talk with colleagues and, hopefully, to come away both inspired and full of new ideas. It’s a bonus if you get to hear from favorite authors and illustrators, and the Kennedy Library conference always includes influential and engaging speakers. The author of the Newbery Honor Book Hitler Youth: Growing Up in Hitler’s Shadow, the Sibert Award winner Black Potatoes: The Story of the Great Irish Famine, 1845-1850. Author of over 50 children’s and young adult novels, including five Coretta Scott King Awards and the Printz Award for his popular novel, Monster. One of my favorite authors in the whole world – and more importantly, the author of so many award winning books that shine brightly – including, Beyond Courage: The Untold Story of Jewish Resistance During the Holocaust, and a series of picture book biographies of well-known leaders, including John F. Kennedy, Martin Luther King, Jr., and Eleanor Roosevelt. The first topic Capiello asked the authors to think about is their source of inspiration. “My initial inspiration, Rappaport said, “is that I came of age during the civil rights movement. People were fighting for equality that I took for granted. And then the Civil Rights Movement led to the Women’s Movement which raised my consciousness again…..I write about power and struggle in a way kids can relate to.” In response to the same question, Bartoletti told the audience that her books “start with a feeling that comes from a fact.” Bartoletti impressed me as a person with an insatiable curiosity to learn what motivates people and to remind kids that they have a voice. Young people are “political beings,” she told the audience. 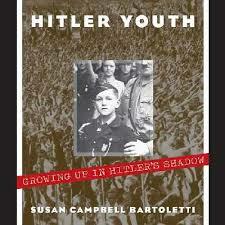 Later in the discussion, Rappaport talked about the challenging of writing history for young readers. “How do you simplify without dumbing down a person’s life?” she asked. Her answer is to focus on the “essence” of the person about whom she is writing. What is the point of this story? What can be left out? Myers said he “begins with a question.” The book is the answer. Another bonus….Bartoletti told us a little about her current project, a book about Mary Mallon, aka Typhoid Mary. It will be on my library wish list as soon as possible! In the afternoon, I attended a discussion with Doreen Rappaport and learned about how she works with the incredible illustrators of her biographies, Kadir Nelson (Lincoln), C.F. Payne (Theodore Roosevelt) Bryan Collier (MLK, Jr.) Gary Kelley (Eleanor Roosevelt) and Matt Tavares (Helen Keller). She held up some of the incredibly beautiful pictures in her books and pointed things out that, to be honest, I had not noticed before. 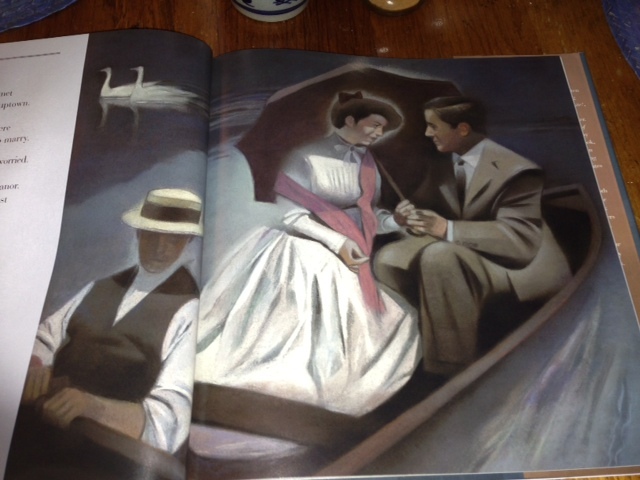 For example, in a picture of Eleanor and Franklin Roosevelt being rowed on a river during their courtship, the swans near the boat support the reader’s knowledge that the young couple is wealthy and socially prominent. 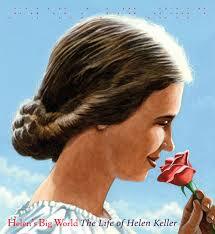 Rappaport also said that the cover of her book about Helen Keller is in profile because Keller apparently did not like to be photographed head on. Rappaport’s enthusiasm for her subjects felt fresh, as if all of her books had been published only the day before. Her commitment to sharing stories of courage and risk permeates every thing she says. “I choose people who have made a major contribution to America or the world. I know they are not perfect.” Her next subject: Elizabeth Cady Stanton. I left the Library with a bag full of books and my head full of stories. A good day. 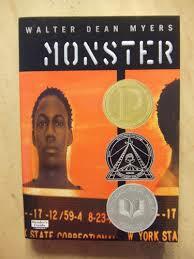 On January 10, Walter Dean Myers will become the new national ambassador for young people’s literature. The award-winning author of many books for children and young adults, Myers is best known for his novels about urban life. When I read the news in the New York Times (link below), I thought of all of my middle school students who have read and loved Myers’ novels. He’s one of those authors that I “go to” when a student tells me they don’t like to read. After they read Monster or Fallen Angels, I have no doubt that they will ask for another one. 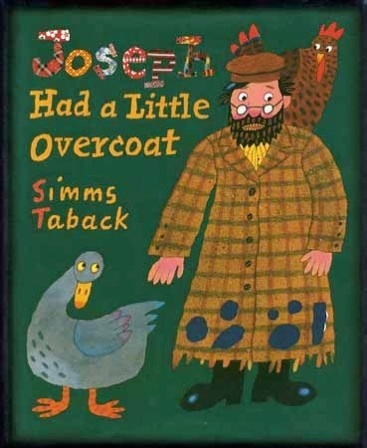 In other news, I was sad to read about the death of Simms Taback, the Caldecott-winning illustrator of Joseph Had a Little Overcoat. I remember how excited I was twelve years ago when they announced that Joseph had won the 2000 Caldecott medal. The colorful, folk-art like illustrations are so appealing that I flip through the book every time I reshelve it. Taback was also the illustrator of a funny version of the folk tale, There Was An Old Lady Who Swallowed a Fly – a story time favorite! 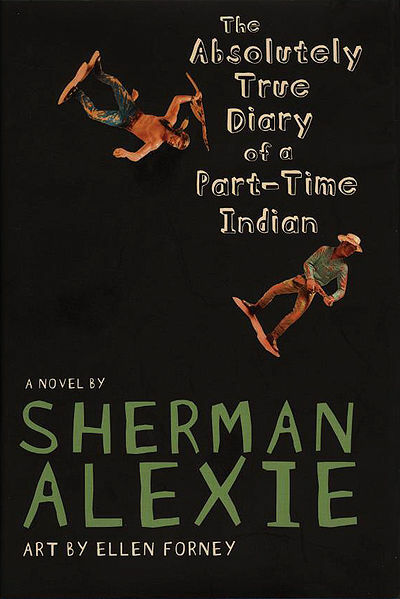 Now it’s the boy’s turn… Two posts ago, I listed my ten favorite books for teenage girls. For those boys just entering the teenage years, here are a few books that may serve as guideposts and reassuring reads – with the endorsement of my nearly 15-year-old son.